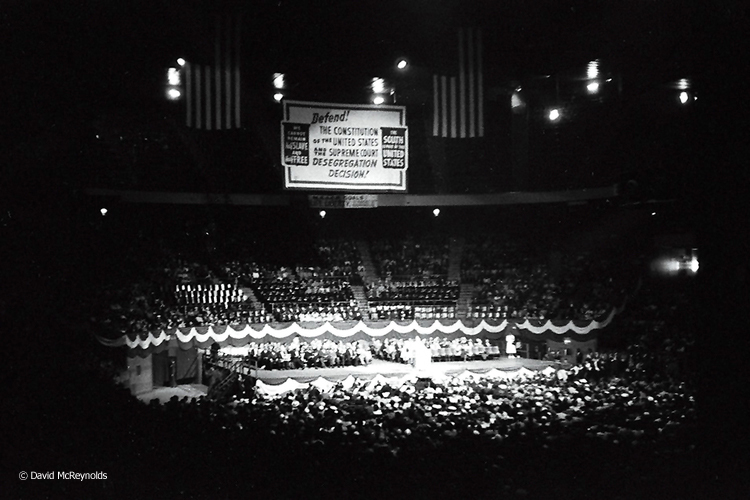 "New York’s Greatest Civil Rights Rally” with a call to “salute and support the heroes of the South”, May 24, 1956, Madison Square Garden. 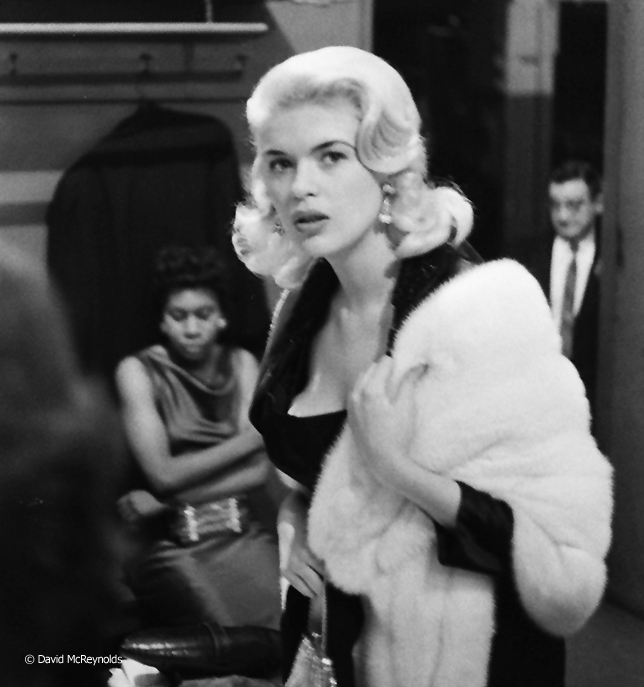 David McReynolds had just moved to New York from California to work for Liberation Magazine and was asked to help backstage, giving him a chance to take many photos. Bayard Rustin was a key organizer of this massive rally, which featured many famous activists and performers. Here Rustin, right, greets keynote speaker Dr.T.R.M Howard. Presenters and honorees included: Eleanor Roosevelt, Autherine Lucy (first black student at the University of Alabama), Tallulah Bankhead (actress), Rosa Parks. 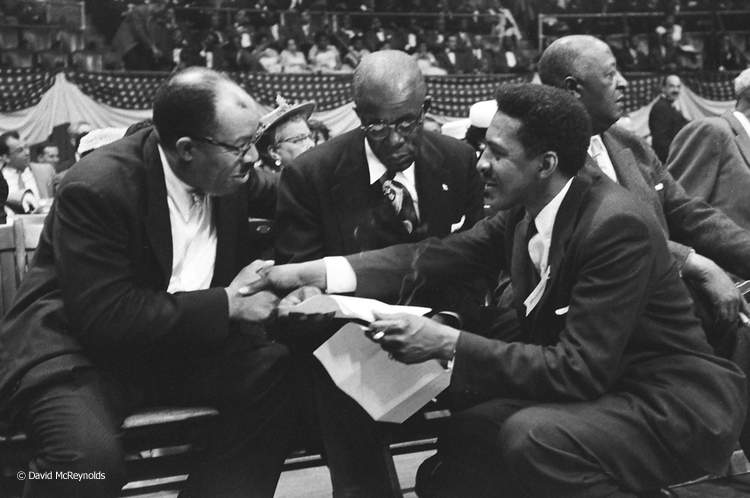 Bayard Rustin, center, with musician Josh White, right. The woman is not identified as yet. Rosa Parks, Eleanor Roosevelt, and Autherine Lucy backstage. Roosevelt noted in her diary: "The rally was an impressive meeting, and...I had the pleasure of interviewing Miss Autherine Lucy, the student who made application to enter the undergraduate body at the University of Alabama." Murray Kempton (journalist), Ella Baker, Bayard Rustin, Autherine Lucy. A. Philip Randolph (center, dark tie) was chairman of the event, which was sponsored by the Brotherhood of Sleeping Car Porters and NAACP. Keynote speaker Dr.T.R.M Howard, is third from left. Other IDs will be added as we get them. David traveled on a bus from New York for the Prayer Pilgrimage for Freedom in Washington, DC. Bayard Rustin, staff member at WRL at the time, was a key organizer for this Pilgrimage. On the bus to the Prayer Pilgrimage, which is described on the "King Encyclopedia" website. Nearly 25,000 demonstrators gathered at the Lincoln Memorial in Washington, D.C., for a Prayer Pilgrimage for Freedom. May 17, 1957. The program featured three hours of spirituals, songs, and speeches that urged the federal government to fulfill the three-year-old Brown v. Board of Education decision. 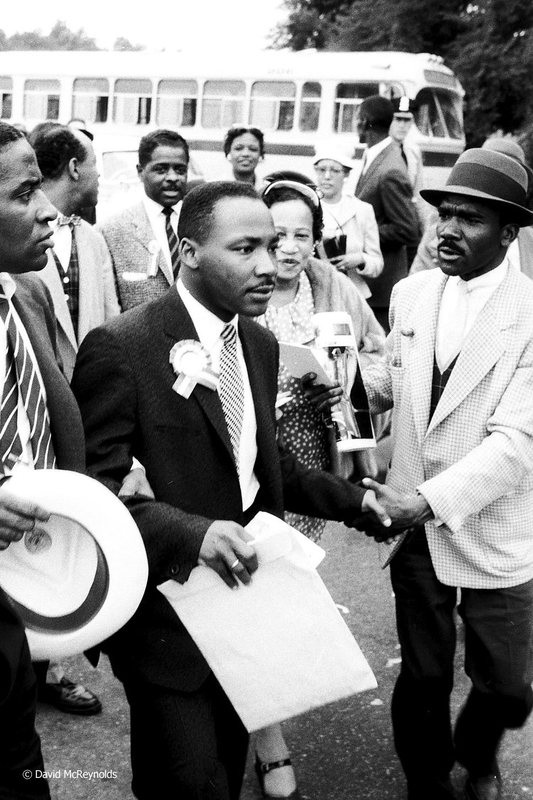 Martin Luther King Jr. leaving the Prayer Pilgrimage. He gave the last speech of the day, ‘‘Give Us the Ballot," which placed him in the national spotlight as a major leader of the civil rights movement.